Join our graduate programme in Sharjah (in the United Arab Emirates) and you’ll embark on an exciting and diverse career path, with plenty of opportunities to develop your skills, expertise and experience across the Middle East. You’ll play a key role in the delivery of engineering, procurement, construction, installation and commissioning projects, including mega-projects, onshore and offshore. As one of our graduates in the Middle East, your development starts on day one with our graduate induction where we introduce you to Petrofac’s structure, values and business direction, and deepen your understanding of our industry. You’ll learn about what each part of the company does, and how it all fits together. 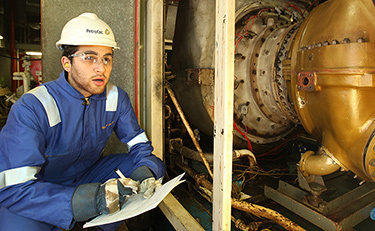 This four-year programme is run through the Petrofac Academy, our in-house centre of excellence for employee development. With structured technical training in your chosen discipline you’ll also develop your skills through on-the-job training (including site experience), working alongside engineers and other functions on live projects with real responsibility. You’ll also benefit from personal development programmes to help you develop your project management and communication skills, and leadership capabilities. Applications will close on 25 February 2019.